After four years at the helm, it’s time for me to say goodbye to Lip. This magazine has been a huge part of my life and I have been so honoured to be able to bring you such wonderful, inspirational feminist writing over the years. I welcome Jo Mandarano to the role of editor-in-chief, and have no doubt that she will take the magazine from strength to strength. 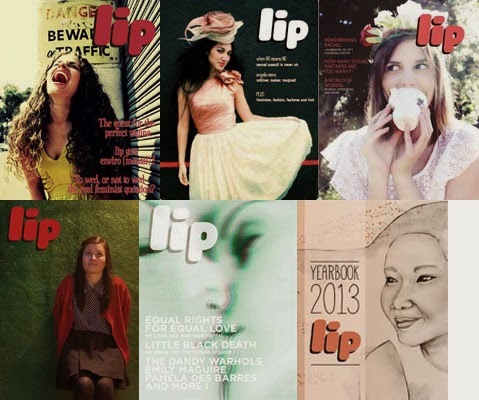 Thank you for the opportunity to be part of Lip, and for your loyalty and support as readers and writers. You can read more about my journey with Lip, as well as my mountain of thankyous, on my blog here. Thanks so much, Val! I’ll definitely be around, and feel free to keep in touch via twitter – @zoyajpatel. This entry was posted in News and tagged lip. Bookmark the permalink.